Mauro Giuliani's six Rossiniane for solo guitar, opp. 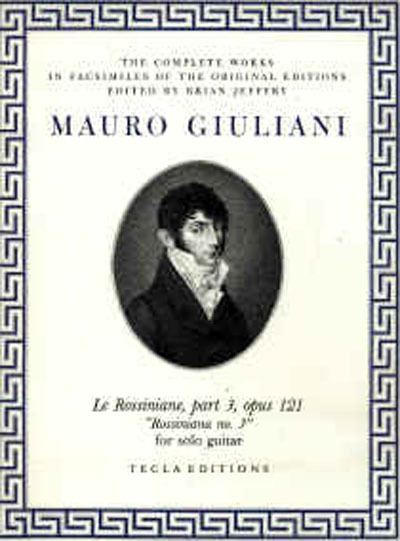 119-124, are fantasias or pot-pourris on themes from Rossini. They are among his most brilliant music. This is the third of the six. Complete reprint first published by Artaria in Vienna in about 1822. A nice bibliographical and historical introduction is also provided. The text is clear and legible for performance. Le Rossiniane (all 6 parts) Vol 13 from the Complete set, Op119-124.